Imagine trying to complete a major construction project without the use of heavy equipment like cranes and backhoes. You probably can’t. 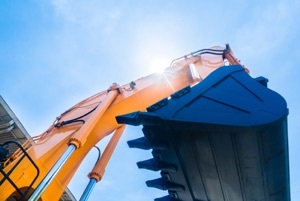 Almost every construction site includes at least a few pieces of heavy equipment to help complete the job. Heavy equipment is one of the biggest hazards for construction workers and it causes hundreds of injuries and deaths every year, thereby increasing contractor insurance costs and affecting employee productivity and morale. According to the Work Safe Center, “machine-related injuries ranked second after motor vehicle-related injuries among the leading causes of occupational injury fatalities.” Construction workers and heavy equipment operators accounted for 63% of heavy equipment and truck-related deaths. Half the deaths involved backhoes and trucks. Rollovers accounted for the most deaths for heavy equipment operators. The most significant cause of death for workers on foot and maintenance workers is being struck by heavy equipment or trucks. Being caught in or between was also a common cause of injuries for people working on or near heavy equipment. A focus on worksite safety can help protect your employees, your business, and your bottom line. Here are three heavy equipment safety tips to decrease injuries and deaths and decrease insurance costs. OSHA requires that anyone operating heavy equipment be thoroughly trained on how to properly and safely operate heavy equipment. This training should be a combination of hands-on and classroom instruction and should include how to identify hazards, safety features on the equipment, load capacity, how to get in and out of equipment safely, and how to safely maneuver the equipment. And training should be ongoing. Unfortunately, the very prevalence of heavy equipment on job sites often causes workers to become complacent, but it’s crucial that anyone operating or working around heavy equipment be mindful of what is going on around them. That includes overhead power lines (which should be deenergized if possible) and underground sewer, water, gas, and electric. Heavy equipment operators should be aware of the swing radius of the equipment they’re operating to avoid hitting people and other equipment, especially when working in tight spaces. Whenever possible, the area where heavy equipment is being used should be cordoned off, and workers should always try to stay away from areas where heavy equipment is being operated. If that isn’t possible, use a spotter and a radio to keep blind spots clear. Before operating any heavy equipment, workers should visually inspect the equipment to make sure it is in good operating condition including tires and tracks, fluid levels, hydraulic hoses, buckets, booms, and any attachments. Make sure lights, gauges, horns, and alarms are working, and that arms, buckets, shovels, etc. can fully extend. If the cab rotates, make sure it does so correctly in all directions. 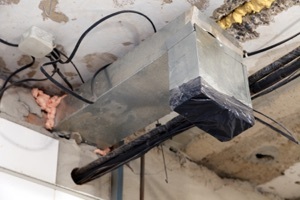 Workers should never use equipment that doesn’t operate correctly or appears to be damaged. Equipment should only be used for the task it was designed for, and operators should be aware of the payload and lift capacity of the equipment and not overwork it. Workers should know how to enter and exit equipment. Similar to climbing a ladder, operators should not carry anything as they climb onto equipment and should maintain three points of contact. Before entering or exiting equipment, make sure it is completely shut off, the parking brake is engaged, and pressure is released from hydraulic controls. Workers should never enter or exit equipment while it is in operation or while it is moving. And finally, there is a reason the equipment is equipped with a seatbelt. If a piece of heavy equipment tips or rolls over, the seatbelt could save a life. One of the worst things a worker can do if the equipment begins to tip or rollover is to jump out of it even though that may be their first instinct. Staying inside with your seatbelt on is your safest option. Preventing workplace injuries and deaths should always be your first line of defense. Unfortunately, sometimes despite all of your efforts, accidents do happen. That’s where the right insurance can help protect you and your employees! 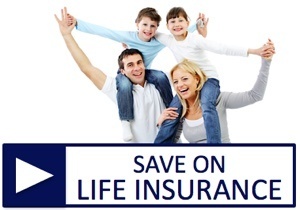 Give American Insuring Group a call at (800) 947-1270 or (610) 775-3848 or find us online. We’re experts in contractor insurance. We know the risks you face and offer affordable rates on contractor insurance by analyzing the plans and comparing insurance costs from many competing insurance carriers! The result? You get quality contactor insurance at the best rate possible. Contact us today to learn more! Truck drivers face many things they can’t control as they drive from point A to point B delivering their cargo – inclement weather, traffic, road construction, distracted drivers, and the list goes on. It’s good to know that there is one thing that truck drivers do have some control over, and that is their trucking insurance costs! Small businesses and owner-operators offering trucking services invest in commercial truck insurance to protect their investment from all those things they can’t control. There are many different types of commercial truck insurance such as trailer interchange insurance, cargo insurance, and more. There are several factors that go into determining your insurance premiums. Each insurance company weighs each of those factors differently. Your first step to controlling your commercial truck insurance premiums is to work with a good insurance agent who specializes in truck insurance, knows what questions to ask, understands your risks, and can compare costs among competing insurance companies in order to keep your costs low. If you or your company have a history of high claims rates, there’s a good chance that you’ll make multiple claims in the future. Insurance companies offer lower premiums to companies that have fewer claims. Lower the number of accidents and claims by creating a culture of safety with ongoing safety training and safety programs for your drivers. Insurance companies will look at the claim history and driving records of all your drivers. If they see drivers with multiple violations or accidents, you will pay higher insurance premiums. Do thorough background checks on anyone you’re considering hiring and provide ongoing safety training for your drivers. Chances are you’re going to need more than one policy to protect all of your investments. Purchasing insurance policies from different insurance companies may appear to save you money, but often bundling multiple policies with one company ends up saving you money. Find an independent agency like American Insuring Group who can compare costs with several companies and analyze the results side-by-side to determine the best solution for your needs. A truck with a higher price tag will also be more expensive to insure. Larger and heavier vehicles may not be as easy to navigate as smaller vehicles, and in an accident are likely to cause more damage, which will also increase your premium payments. Purchase the right vehicle for the job. Don’t buy a larger or more expensive vehicle than what you need. Where you drive can affect the probability of having an accident. You’re less likely to have an accident driving along a stretch of country road with little or no traffic than driving a big city street during rush hour. Also, the further you travel, the higher the chance of an accident. The higher risk of an accident, the higher the insurance premiums. Keep in mind that there is nothing more constant in life than change, and that applies in the trucking business as well – new drivers, new vehicles, changing claims rates, etc., so it’s vital to schedule an annual review with your insurance agent if you want to ensure that you have the best coverage at the best price. Ready to Save on Truck Insurance? Call the Experts at American Insuring Group! American Insuring Group specializes in trucking insurance, and we’re independent agents, so we’ll make sure that your commercial vehicle has the best insurance protection at the lowest price (unlike many of our competitors, we’re not locked into one solution). So, give us a call at (800) 947-1270 or (610) 775-3848 or contact us online. Start saving today! You often hear horror stories about fraudulent workers compensation insurance claims, but fortunately, most employees that make WC claims are honest, hard-working individuals. Occasionally, you’ll run across an employee who seems to be a repeat WC claim offender. Some are legitimate claims, and some are not, but repeated WC claims can be annoying, time-consuming, and costly. Your first step is to remember that both you and the injured employee are human, and as humans, we all have emotions and make errors. Injured employees need to be treated with respect, or you may inadvertently antagonize the employee and make matters worse, or you may be dealing with a worker with a legitimate claim. For example, an employee who is willing to do whatever it takes to get a job done may do things that increase their risk of injury. An employee may be naturally clumsy, or they may not be aware of the right way to get a job done safely. If you encounter an employee who has multiple WC claims, you need to investigate it, so you know what steps to take to reduce the number of claims. It’s vital that you go into the investigation with an open mind. Start the investigation by giving the injured employee the benefit of the doubt until or unless you find a reason not to. Investigations are essential with any WC claim but especially with an employee with repeated claims. Gather statements from the employee, supervisor, any witnesses, and the treating physician, so you can understand the extent of the injury and how the injury occurred. If you don’t think the treating physician is being honest or is not providing the best information or treatment, it’s okay to get a second opinion. You also need to figure out the actual cause of the accident. A cause may seem obvious but upon a more in-depth inspection may prove to be a secondary cause – or not the cause at all. Review studies conducted on similar injuries; look at all potential factors; consider other factors such as previous injuries and comorbid conditions such as obesity, mental health issues, substance abuse, etc. ; consider the validity of testimonies; and with all that information, make a conclusion. As mentioned earlier, injured workers are human and have emotions. Like everyone, some of those emotions are logical, and some are not. Having an open, non-confrontational conversation with the injured employee can reveal things such as personal challenges at home, psychosocial issues, or problems with a supervisor or with your company. Once you understand the reasons for the repeated WC claims – whether they’re legitimate or not – you can take steps to avoid future claims. If it turns out they don’t know how to perform their job safely, provide additional training and education. If you determine that they are physically unable to do their job effectively, consider transferring them to another job that they can perform safely. However, if they’re trying to take advantage of the system, be respectful, but let them know that you will be watching them and will take appropriate action if abuse of the system is found, up to and including termination. Repeated workers’ compensation claims affect your bottom line while potentially harming productivity and employee morale. You know what else affects your bottom line? Paying more than you need to for workers comp insurance! To get a GREAT deal on your WC insurance, give the independent agents at American Insuring Group a call at (800) 947-1270 or (610) 775-3848 or find us online. As independent agents, we’re free to shop and compare rates among competing insurance carriers to make sure that you are getting the best WC insurance at the best possible price! Contractors: “Mind the Gaps” in Your Insurance Coverage! When you ride the Tube (aka the subway) in London, you’ll probably hear “mind the gap!” as you board your train. “Mind the gap” is a warning to rail passengers to be careful when crossing the gap between the station platform and the train door. If you don’t “mind the gap,” you could fall between the train and the platform and cause serious injury. 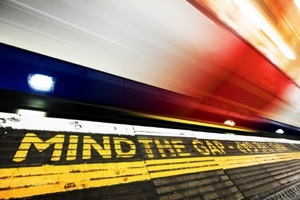 “Mind the gap” is also good advice when discussing insurance for contractors! There are lots of moving parts with every construction project – from multiple subcontractors to heavy equipment and power tools. Each of those parts pose different types of risk, and if you don’t have the right insurance to protect you from those risks, you’ll have gaps in coverage that could cause serious injury to your bottom line. There are two types of aggregate endorsements a contractor can purchase: a per policy and a per project aggregate. A per policy aggregate sets the total amount an insurer will pay for all of your claims during your policy’s term whether you have ten projects or 100 projects during that time. A per project aggregate ensures that you have equal coverage on a per project or per location basis, which could significantly increase the amount the policy could pay. Some insurance companies automatically add a per project endorsement to a contractors’ commercial liability policy, but some don’t. If you don’t clarify this from the start, you may not be comparing apples to apples thinking one insurance quote is a real deal when in fact it could leave you with a gap in your insurance. There are two basic types of liability coverage contractors may need- general liability and professional liability. Commercial General Liability (CGL) insurance usually covers liability claims for property damage and bodily injury. It helps cover legal fees in the event of a lawsuit against your company and is required by most banks and clients. However, not every insurance claim is the result of an accident or injury. As projects continue to get more complicated and the line between the design firm and contractor become more blurred, contractors may find unexpected gaps in their liability coverage. A contractor who finds himself in a lawsuit claiming negligence, misrepresentation, defective materials, or faulty recommendations may not be covered by CGL. Professional liability coverage (aka errors and omissions) goes beyond standard liability and covers liability for professional services such as engineering, design, and construction management operations. Many contractors work with subcontractors. If you’re one of them, you need to ensure that you have two documents from every subcontractor you work with upfront to protect your business from damage caused by those third parties: a certificate of insurance that lists you as an “additional insured” and a signed “hold harmless” agreement. You will need to list all subcontractors that you work with and document third-party certificates with your insurance carrier, and if that carrier finds a subcontractor that is not insured, you could end up paying a much higher rate, open you up to workers’ compensation costs, and force you to take responsibility for claims that aren’t your fault. Avoid the Gaps – Get the Right Construction and Contractor Insurance! So, give us a call at (800) 947-1270 or (610) 775-3848 or check us out online. Our experienced independent agents will not only help you mind the gaps but also help ensure you get the best prices because we search, compare and analyze policies and pricing among many competing providers. 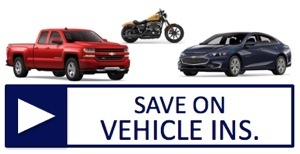 Call or click today to start saving! The majority of employees are honest, and the majority of workers compensation insurance claims are legitimate. Unfortunately, there is a small group of people who commit workers compensation fraud, and they cost companies billions of dollars every year in rising insurance premiums, production delays, and training costs. What is EMPLOYEE Workers Comp Insurance Fraud? Workers Compensation fraud occurs when a WC claim is filed that is not entirely truthful to get money or extended time off. Fraudulent claims include faking or exaggerating an injury, claiming an injury that occurred off the job, or claiming an old injury that didn’t heal. Workers comp fraud is a serious crime, and one of the fastest growing types of insurance fraud in the U.S. Estimates place the cost of WC fraud to companies at $6 to $7 billion every year. The good news is that there are steps you can take to minimize WC fraud by both employees and providers. One of the first steps is to recognize common warning signs. Never accuse an employee of fraud. If you see two or more of these warning signs, notify your insurance company immediately, but remember these are just potential signs that there could be an issue. It doesn’t mean that every workplace injury that occurs with no witnesses is fraudulent or that every injured employee who is hard to get in touch with is lying. They are just indicators that there may be a problem. 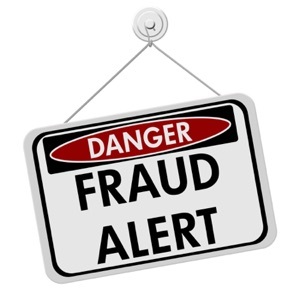 If you suspect fraud, notify your insurance carrier immediately and provide supporting documentation. What is PROVIDER Workers Comp Insurance Fraud? WC fraud can cause a ripple effect that touches everyone. Fraudulent claims create additional costs for insurance companies, which can turn into higher insurance premiums for employers. Increasing business costs can cause an increase in prices customers pay, a decrease in employee benefits, or even job cuts. To learn more about preventing and recognizing WC Fraud and ways to save on Workers’ Compensation Insurance, contact the WC specialists at American Insuring Group at (800) 947-1270 or (610) 775-3848 or find us online. 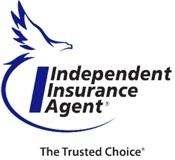 Our Trusted Choice independent agents will work hard to analyze and compare plans from competing WC insurance carriers, so you’ll get the best price on quality protection. Your truck is your livelihood and the best way to protect it is with the proper truck insurance. By "proper" we mean insurance that covers your specific needs and doesn’t leave any gaps – all at the best price. The best way to do that is to work with an independent insurance agent – like those at American Insuring Group – who specialize in truck insurance and have the freedom to compare coverage and pricing from several different insurance carriers and then present you with options and recommendations. Knowing the right questions to ask your agent is important because it will help reveal the depth of their knowledge so you can decide if they are right for you. How long have you been selling truck insurance? 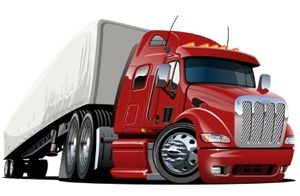 The risks, costs, and required coverages involved with an 18-wheeler are significantly different than those of a regular car. Having an agent knowledgeable in truck insurance can help ensure that your investment is adequately protected. How much coverage is right for me? A minimum of $1,000,000 liability insurance coverage is mandatory for most commercial trucks, but it’s important to remember that trucks can cause a lot more damage than a car. 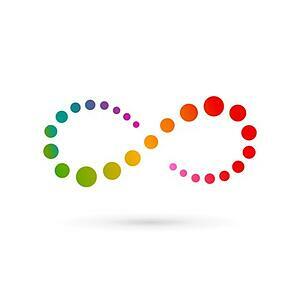 Ask your agent to take you through what-if scenarios and different limit options available to you. Also, ask about the benefits and costs of an umbrella policy, which can protect you in the event of a catastrophic loss. Do you offer broad form cargo coverage? Depending on what you are hauling, the standard $100,000 of cargo coverage may leave gaps in your coverage, so your agent should understand the types of cargo you haul and the risks associated with that cargo. Ask your agent if they offer broad form coverage, which protects you against specific risks not covered by basic cargo insurance. 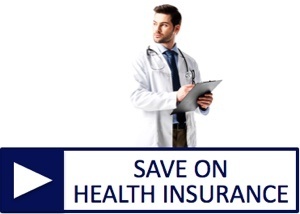 What is my deductible and do you offer a combined deductible? Increasing your deductibles should lower the cost of your premiums, but it’s essential that you ensure that you have enough available cash to pay that higher deductible if you need to pay it. You may have coverage on multiple items such as your tractor, your cargo, and another damaged vehicle (the one you hit), but each of them may come with a separate deductible. With a combined deductible – which doesn’t usually cost much more – you only pay one deductible for all lines of coverage or all vehicles in one claim. 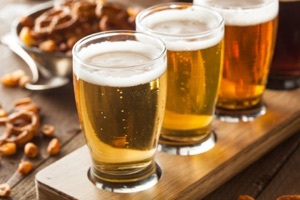 What affects the cost of my premiums? The most common things that affect your premium costs are age, driving record, years of experience, what you’re hauling, the age of your equipment, area of operation, criminal record, and credit score. If you know what factors are affecting your premium, you may be able to take steps to fix that factor before your next renewal or go with a carrier that doesn’t put as much emphasis on a particular risk. How quickly can you react to my needs? Most (but not all) insurance companies now have 24-hour claims services. Don’t assume anything; ask your agent if it’s available to you. Some discounts are required by law such as for airbags or anti-lock brakes, but there are often other discounts that may not be required or as standard but may apply to you. 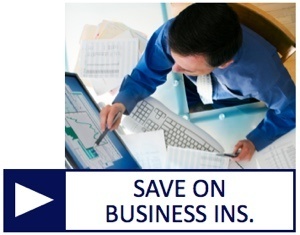 Potential discounts can include paying in full, packaging, prior insurance savings, and more. Ask the Truck Insurance Pros at American Insuring Group! A good truck insurance agent can not only protect your investment but also be a great asset to your business. When you’re ready to purchase your next policy, give the experienced independent agents at American Insuring Group a call at (800) 947-1270 or (610) 775-3848 or contact us online. We’ll be happy to answer these and all of your questions to help you get the right insurance at the best price! A few weeks ago we began discussing the Occupational Safety and Health Administration’s (OSHA) Fatal Four. These are four safety hazards that account for the majority of all construction worker deaths. Again, the Fatal Four include the following hazards (statistics are from 2016). We covered caught-in/between hazardsand electrical hazardsin previous blogs. Today our focus is on the second highest cause of fatalities (9.4%) among construction workers – struck-by hazards. There are a lot of moving parts at a construction site and many hazards that can cause struck-by injuries. When a worker comes into forcible contact with an object that is flying, falling, swinging, or rolling, a struck-by injury can occur. The four most common causes of struck-by hazards in the construction industry are flying objects, falling objects, swinging objects, and rolling objects. Your first line of defense against this type of injury is being aware of your surroundings and using hard hats and personal protective equipment (PPE). Hard hats should be worn on job sites at all times. They should be properly adjusted to sit firmly and securely on the head, and they should be inspected regularly for cracks, gouges, dents, and other damage. Exposure to sunlight and cleaning solvents can damage or weaken a hard hat, so they should be cleaned with mild soap and stored out of direct sunlight. If a hard hat is damaged or worn out, replace it immediately. It’s much cheaper to replace a hard hat than it is an employee. Employees should also be equipped with additional PPE where appropriate. PPE that can protect against struck-by injuries may include safety glasses, face shields, and steel-toed boots. All PPE should meet American National Standards Institute standards, and all should be inspected regularly and replaced when damaged or worn out. Here are preventative measures for each of the most common types of struck-by hazards. Nail gun discharge accidents are the most common cause of flying-object injuries. However, thrown debris or tools, a tip flying off a saw blade, or any other object that is flying around the work site can also cause injuries. Employees should stay clear of the line of sight when a nail gun is being used. And because nail guns create enough force to penetrate plywood and sheetrock, employees should also be aware if a nail gun is being used in an adjacent room. Check out “Nail gun Safety and Workers Compensation” for more information about nail gun safety. Additional safety measures include regular inspection of all power tools, the use of protective guards, and wearing safety glasses, face shields, or goggles when working with power tools. This type of injury can be caused by falling tools or materials falling off edges or suspended from a crane. Employees should also be aware of suspended loads and never walk or position themselves under those loads. Sometimes materials that are being mechanically lifted can begin to sway and can strike a nearby worker. Employees should be aware when a load is being moved and avoid the swing radius of that load. Workers should also make sure they aren’t in a blind-spot of the heavy equipment operator. Moving vehicles or heavy equipment usually causes this type of injury, but it can also be caused by objects that roll, move, or slide into an employee. First, heavy equipment operators should be adequately trained in how to operate the machinery safely. Second, other employees should be aware of where heavy equipment is being operated and understand where the operators have limited or no visibility. 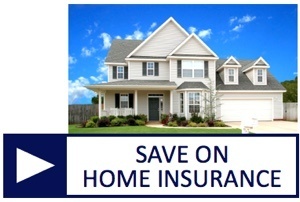 Contact Us and Get Ready to Save on Contractor Insurance! These preventative measures can significantly reduce worksite injuries and death, which can lead to lower contractors’ insurance premiums. Another way to lower your contractor insurance costs is to contact American Insuring Group at (800) 947-1270 or (610) 775-3848 or connect with us online. As independent agents, we always compare the cost of your construction insurance among competing insurance companies to make sure that you’re getting the right coverage at the very best price! 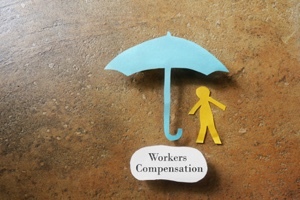 Workers compensation insurance is designed to protect both employees and employers. If an employee is injured on the job, WC helps pay for medical costs and lost wages. If an injured employee sues their employer, WC helps pay for legal fees and any resulting financial settlements. The good news is that there are steps you can take to lower your WC premiums without losing the protection that it provides. How is Your Workers Comp Insurance Premium Calculated? There is a simple formula that determines how much you pay for WC. You can control some things within that formula, and others you can’t, so it’s important to understand the formula before you can understand how to lower your premium costs. Let’s take a look at the formula and break it down. This is one of the parts of the formula that you have little control over. The RATE for each employee is based on his or her classification code. An employee’s WC classification is determined by what duties the employee performs or “the scope of work performed” and how dangerous his or her job is along with what state they work in. There are over 700 different classification codes. If an employee is a tree trimmer, their classification code is 106 with a rate of $22.91 in Pennsylvania. An employee with a job that isn’t as hazardous and where he is less likely to incur an injury, such as a clerical office employee (classification code 8810) has a rate of $.34 in Pennsylvania. If you plug each of those numbers into the formula, you can see how different your premium rate will be. The only thing you can do about the classification code is to make sure that every employee is classified correctly, so, for example, make sure that a clerical worker isn’t accidentally given a tree trimmer classification code. On the other hand, if you assign a clerical classification code to a tree trimmer, you could face a sizable additional premium at your year-end audit. Assigning the correct classification code isn’t as easy as it sounds, and it’s where an experienced insurance agent who specializes in workers compensation is crucial. Your payroll is what it is, and there isn’t anything you can do about it in the WC premium calculation except to make sure that the projected payroll used in the formula is accurate. If you think it’s too high, don’t wait for an audit. Ask your insurer to adjust your payroll number. This is where you can really make a difference in your workers’ compensation insurance premiums. The experience modifier is a score your individual company receives based on your company’s loss history compared to the average for your industry. A score of 1.00 is assigned if your loss history is average. If you’ve had a lot more injuries and WC claims than your industry average, your experience modifier will be higher than 1.00. If you have fewer injuries and claims, your score will be lower. Try plugging different numbers into that formula, and again, you can see just how much your experience modifier score can affect the cost of your premium. If you can lower your modifier, you can reduce your premiums. The best way to do that is to create a safer working environment for your employees, so there are fewer injuries and fewer claims. This is the reason that we focus so much on safety in this blog. American Insuring Group specializes in Workers’ Compensation insurance, and our independent agents will make sure that you get the best possible price on quality workers comp insurance. How? We diligently compare competing rates among many insurance carriers, and then come back to you with the best deal on the insurance that meets the unique needs of your business. So call us today at (800) 947-1270 or (610) 775-3848 or connect with us online.